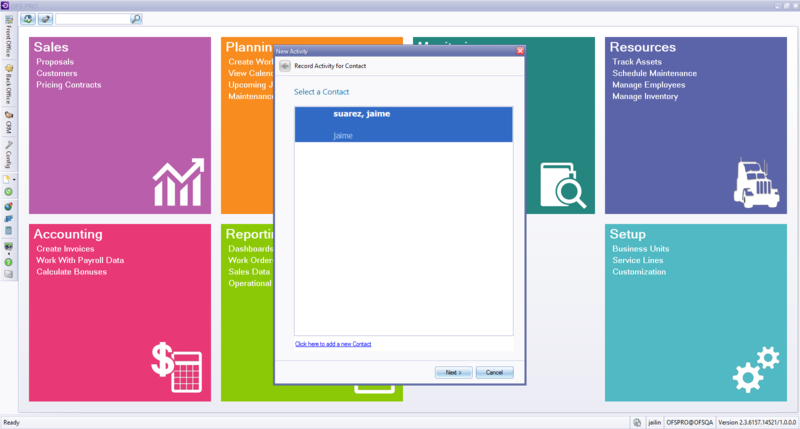 Manager users can create new activities and assign them to any member on their team. Delegate users can create new activities, which will automatically be assigned to themselves. Select a contact and click on Next. 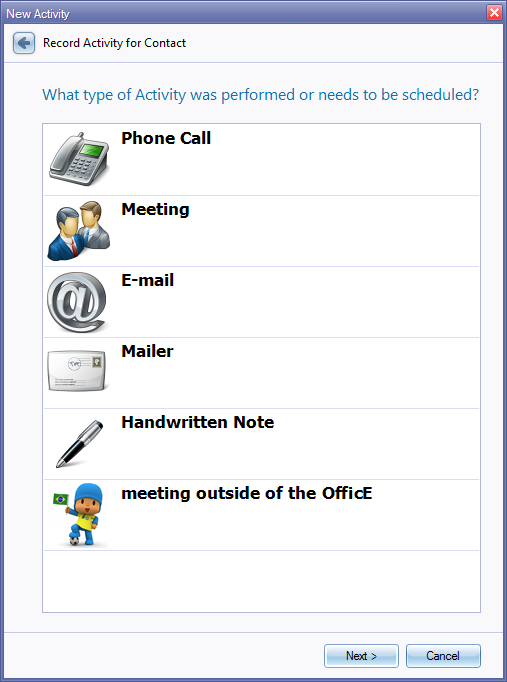 Select the type of activity that was done or needs to be scheduled. Select the priority, the date/time, and recurrence type, if needed. Click on Next and click on Finish.